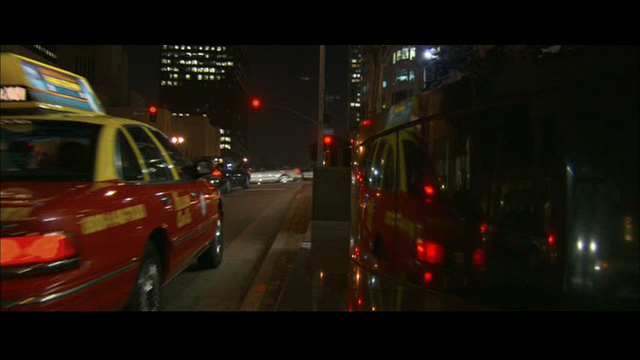 the mean streets of la, as imagined by michael mann in 2004- collateral [like la takedown and heat], imagines a los angeles that is modern, gritty and riddled with high stakes crime. mann envisions la as an architectural landscape where freeways become transitional spaces and the city itself a character within the criminal underworld. the city feels liminal, like the good guys and the bad guys who emerge as flip sides of the same coin. and even though tom cruise runs really really fast and carries a briefcase, he still manages to appear both dark and exude a sense of cool, like the city itself.